European food draws to European Market Deli & Café customers that reflect the varied tastes and cultures that make Bay Area such a great place to live. Our American customers, and not just those who tasted European food before, love the hand-made pirozhki – we make them daily, so they are always fresh, and never frozen. 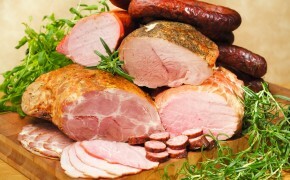 Various sausages are very popular. 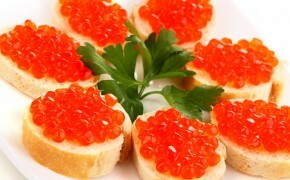 Smoked fish, rarely available in US supermarkets, generate much excitement . And the variety of beers from Poland, Czech Republic, and Romania draw much interest as well. 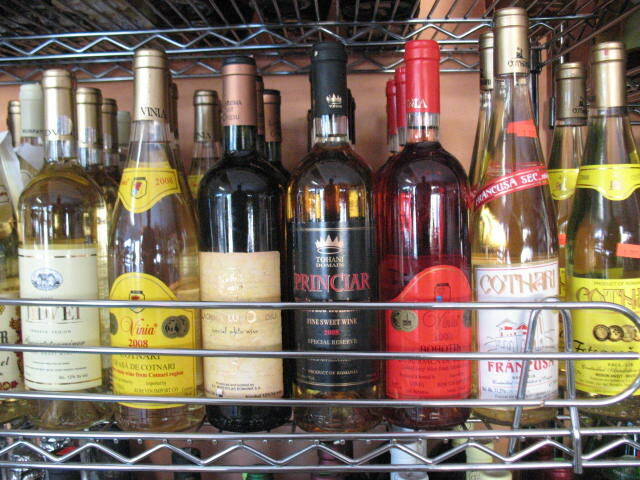 Romanian customers enjoy a nice selection of Romanian wines and beers, along with ground kebab, croissants with chocolate, and our special mixed vegetable salad. 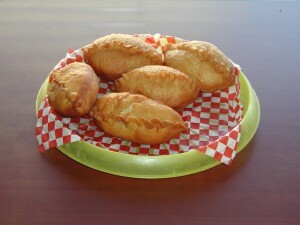 We have many Mongolian customers who not only buy traditional kumys (kumis) or Airan, but like our piroshki as well. 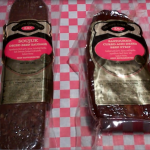 They also find interesting our selection of mortadella, bologna, and pickled vegetables. 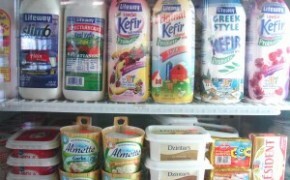 Variety of milk products, including French butter, and many flavors of Greek style kefir attract fans from around the Bay Area. Polish customers come for the rye and wheat bread – we get it from a local bakery, and the customers say it’s the closest thing to a real European bread in the entire Bay Area. Naturally, they also buy famous Zywiec beer, and four different flavors of “ptasie mleczko” – chocolate covered marshmallows. 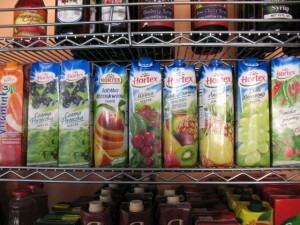 Hortex fruit juices are very popular as well. 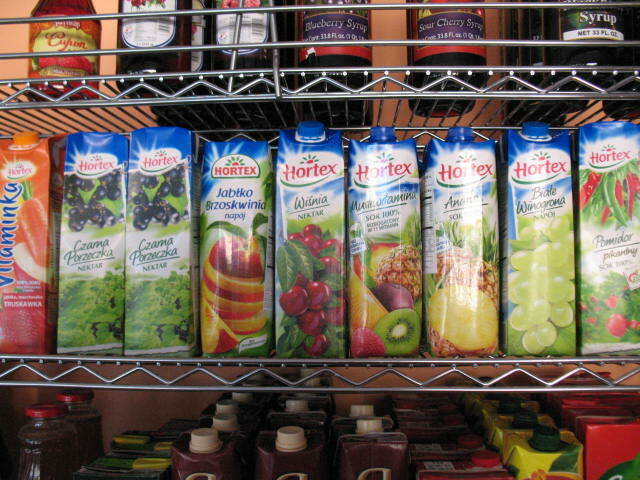 Hortex fruit and vegetable juices are well known among our Polish customers, and naturally, we also have Polish sausage and bacon. For Christmas, we ordered Polish style sauerkraut and mushroom pierogi. 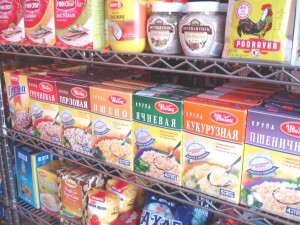 We have many Russian customers who gravitate towards foods from the Old Country. Red borsch, pieroshki, blintzes, cabbage rolls stuffed with rice and ground beef are our bestsellers. 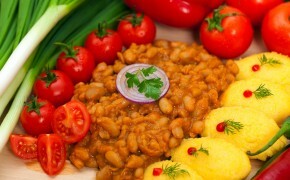 Our foods are prepared from European recipes, and they do taste better than the stuff you can get at the supermarket. 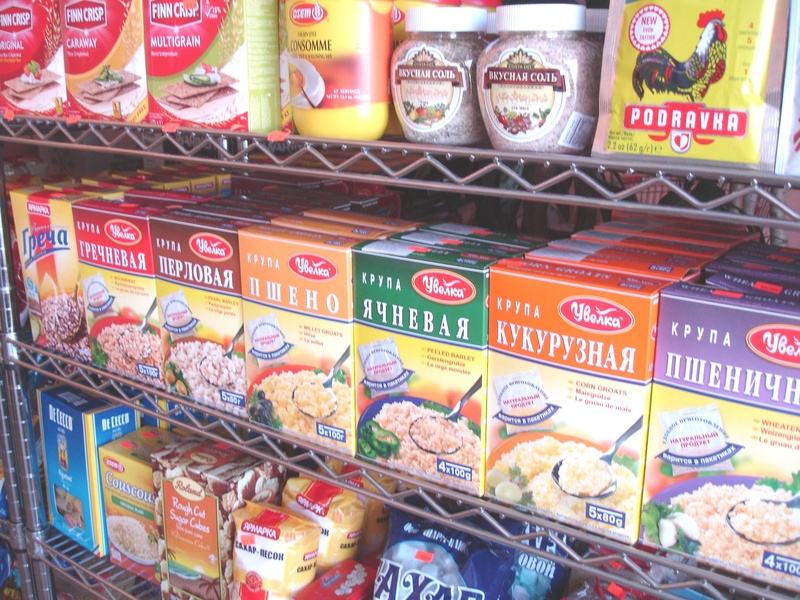 Naturally, in addition to the foods we make in our kitchen, we import many foods from Russia. 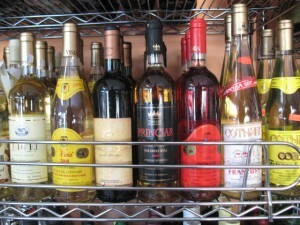 We offer a variety of kashas, Russian beer and wine. We are proud of over 100 flavors of black, green, fruit and herbal teas that we offer to our customers on a regular basis. Please drop in and enjoy our food – you can even have it right on premises, as we have a small dining area for our customers. If you are on a short lunch break, you can phone in a take out order: 510-889-1223.